Providing you the best range of polyurethane pipe section & block with effective & timely delivery. 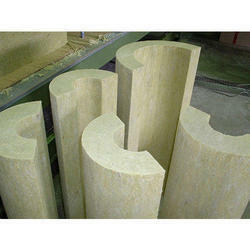 We are the leading organization involved in offering PUF Pipe Sections. Our offered foam cored Insulated pipe sections and Slabs are manufactured with the help of a dedicated High Pressure equipment using state of art moulds and fixtures to consistently yield. These PU foam cored Pipe sections are available in standard sizes that have excellent thermal insulation properties and make a valuable contribution towards reducing energy consumption in various industries. Looking for Puff Pipe Sections ?